We are amongst the many people mourning the impending departure of Lovefilm by Post – the DVD rental service which was absorbed by Amazon a few years ago, and which they recently announced would close at the end of October. A few years back, I looked at the list of our past rentals, and it was over 750 titles. They now truncate the history to the last 200, so I can’t see our current total, but I guess we must have watched in the region of 1000 movies. I’m not even going to calculate how many weeks of enjoyment that represents! We joined soon after the service started, which was also around the time we pretty much stopped watching live TV. 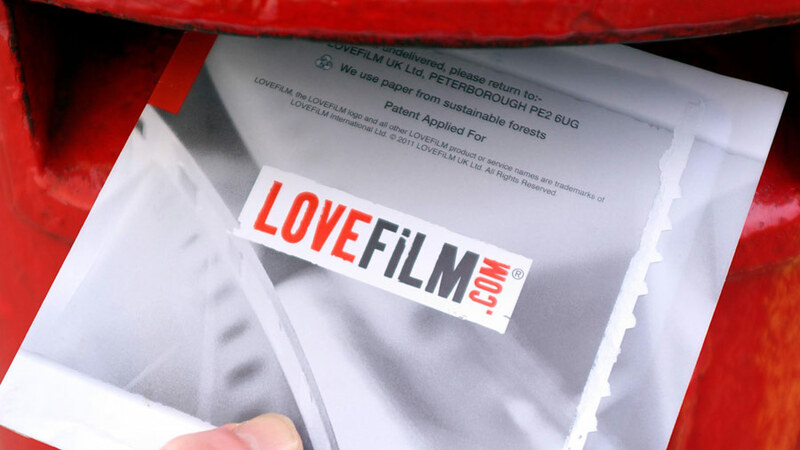 Lovefilm was clearly living on borrowed time: like Netflix’s original postal service in the US, on which it was modelled, we knew it would eventually succomb to the higher profit margins available from streaming. But Netflix and Amazon Prime – both of which we also use – don’t offer a fraction of the titles that we want to watch. If I look back at just a few of our recent rentals – not even particularly obscure foreign language ones, but things like Cadfael, or Humphrey Bogart’s Sahara – LoveFILM is, I think, the only way to get them without actually buying them. I’ve no interest in trawling through the movies on Netflix and Amazon Prime. It’s like the DVD bargain bin at a suburban petrol station. There are about five quality films on there, all of which you’ve seen, and then an endless black hole of celluloid mediocrity. We also often enjoyed watching the directors’ commentaries and other extra features on the disks, which are seldom available from the online services. So, strangely, this change will probably push us back towards the purchase and ownership of more physical media. Amazon may have realised this and decided it was to their advantage! But we’d better collect copies of our old favourites (and rip them) before DVDs, too, fall by the wayside. It is interesting that, despite interesting offerings from people like Curzon, nobody has managed to offer a general streaming service that compares in the breadth and quality of the postal catalog. I’m guessing this is a legal and licensing problem, and that Lovefilm by Post was able to survive based on the tail-end of some historical agreements put in place for VHS rental shops. But if anyone does work out a way, legal or technical, to offer a service catering to those interested in more than just the blockbusters, they will make a lot of money. From me, at least.